There is nothing more fun than the Betsey Johnson runway show in the tents. Nothing. It doesn’t matter what season, or even what the clothes look like, for that matter. 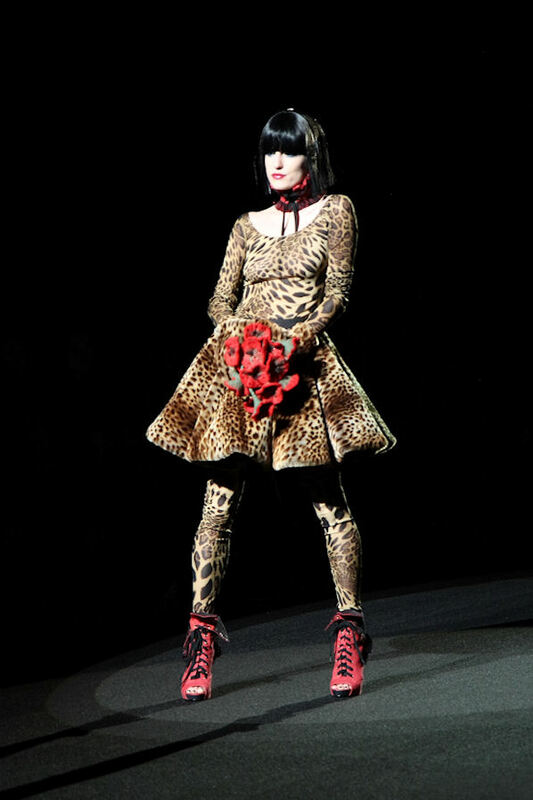 They are the creations in Betsey’s head, and they come to life with an unequalled vibrancy. She stays true to her vision, and thank God for that. For Fall 2011, the theme was “He Loves Me, He Loves Me Not.” It was Valentine’s Day, after all. 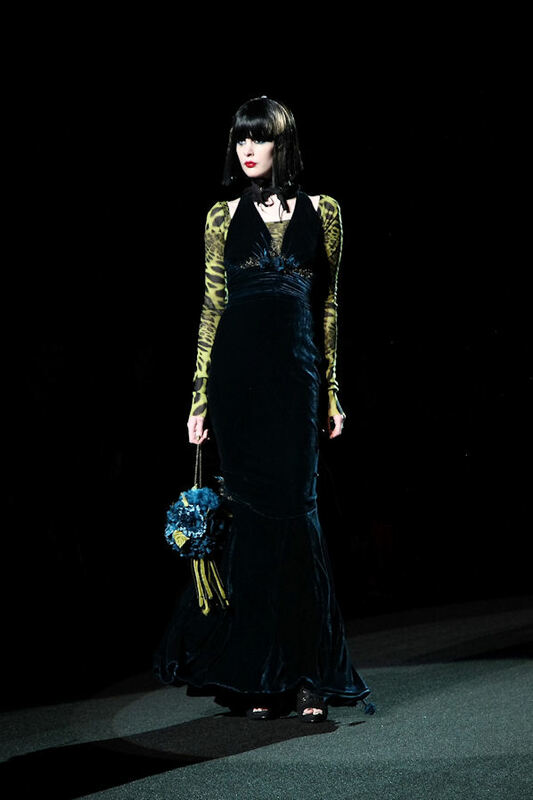 The first half of the show featured models romping down the runway in black wigs, animal prints and plaids, along with the requisite flowers on the clothes and around their necks. All of the designs were from Betsey’s “Black Label” line. This was her version of “He Loves Me Not”. Part Two introduced her new “Pink Patch” line, comprised mostly of familiar Betsey Johnson designs from years past, full-skirted frilly dresses, leggings and corsets, with one very good twist: nothing costs more than $100. So, if you were young enough, thin enough, but just not rich enough to wear Betsey, now you can. The “He Loves Me” models looked much brighter and blonder. The clothes were brighter, too, with big prints and sequined dresses. The best thing here, of course, is Betsey’s signature cartwheel down the runway at the end of the show. It’s the moment everyone waits for, and she never disappoints. There’s no better way for a fashion fan to spend Valentine’s Day, than with a designer you love. Thanks, Betsey. Gallery | This entry was posted in Fashion and tagged Anton Brookes, Betsey Johnson, Debora Fougere, fashion, mercedes benz fashion week, New York Fashion Week, Red Stiletto Media, runway. Bookmark the permalink. Betsey has always been my favorite since i was like 12. Her chunky necklaces are absolutely to-die for. Too bad I am no thin enough for her clothes but I do buy her accessories. Great post.